Eyebeam met Garai Caruth in 2014. Garai was a student participant in an after school program we ran in partnership with his High School, Satellite Academy. Upon graduation, Garai attended Arcadia University to study International Business but found his thoughts returning to technology and community. Garai, now 22 years old, came back to NYC to re-focus his studies on learning programming and joined Eyebeam as a Student Resident in 2017 helping with our after school education programming while moving forward his ideas around technology and sustainable community spaces. You can learn more about Garai Caruth’s current project, ComeFindHelp, here. Eyebeam would like to thank and acknowledge the support of Mozilla from whom we received a travel grant from the Mozilla Hive NYC Fund to send Associate Director for Education, Lauren Gardner and Eyebeam’s 2017 Student Resident, Garai Caruth to attend Mozfest 2017 in London. This is Garai’s account of his experiences at MozFest 2017, from Oct. 27th – 29th. When I heard that we had been approved to go to Mozfest, I was most excited to share a space with so many influential designers and programmers during a time when the open Internet is under attack. It’s critical moments like this when you get to see the best of humanity rise to the challenge, and the topics of my first Mozfest were nothing short of inspiring. Before I got to London, I was excited to learn about the rapid expansion of the Blockchain space as well as the issues facing net neutrality. I was warned that I may not follow my ‘strict’ schedule that I made on the Mozfest app; because there’s so much to see. I didn’t use the app past my first session. Instead, I wandered around in awe after the Blockchain for Humanity workshop, filled with this sudden sense of wonder and humility at the scale of world changers at Mozfest. This feeling of awe would eventually dissolve into a determination, to lift the social barriers to technology so that its not just a room primarily filled with white men trying to fix the world’s issues. Whenever there was a session starting, I’d sit in on it to pick the brains of the people I met, and move on at the end to whatever session peaked my interest the most. I talked to many people. The most interesting person that I talked to was a Londoner by the name of Rachel Rayns, who came to Mozfest with a van that she modified to be an off grid mobile home. The home had a mixture of handmade and store bought appliances that worked in harmony with the technology she implemented to make her RV function as a mini mesh network (an API constantly monitored the battery life in the van and would tell you your remaining battery with a voice command). 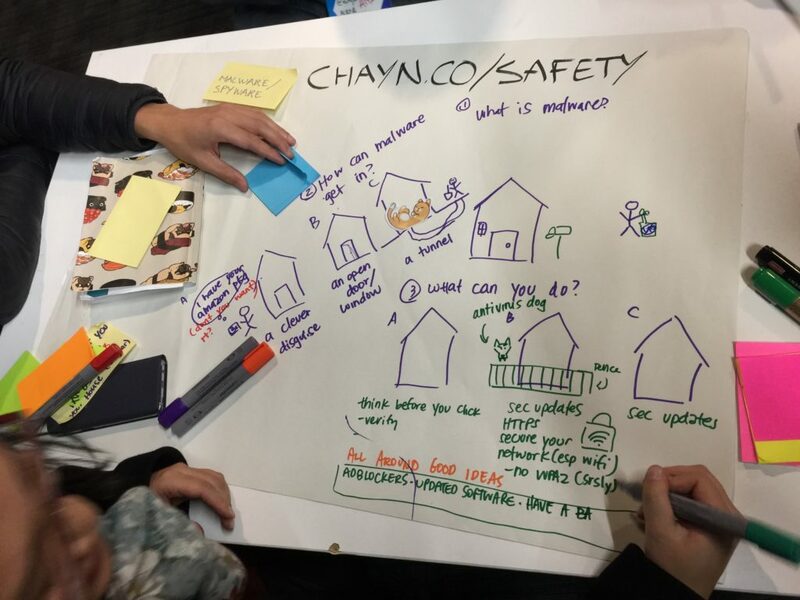 I found this especially fascinating; four months ago I co-founded ComeFindHelp to use renovated shipping containers to create environmentally and socially sustainable green spaces in NYC. Rachel’s knowledge in sustainability practices along with her devotion to a UX design process, allows her to immediately modify her living environment. Her perspectives inspired me to adopt the same practice when we are building sustainable shelters. As a whole, Mozfest is a great unconference, filled with amazing people that strongly want to make the internet a better and sustainable place. Spaces like this facilitate timely discussions that shine light on the fact that the only true solution is a collaborative one. The sessions this year explored huge questions like an engaging way to teach children how to code, how blockchain can improve world issues, and the concerns that arise from dating apps, like Tinder, which do not provide a large enough space for women and POC to weigh in. Sessions on facial recognition of black people were empty save for a few POC and one white man, sessions on the issues with dating apps were filled with all white men and 2-3 white women that for the most part watched white men mansplain the issues with dating. Mozfest is a start to a solution, but by no means the solution in itself. Some advice that I would share with anyone attending Mozfest is to look at it for what it is, but also what it isn’t. 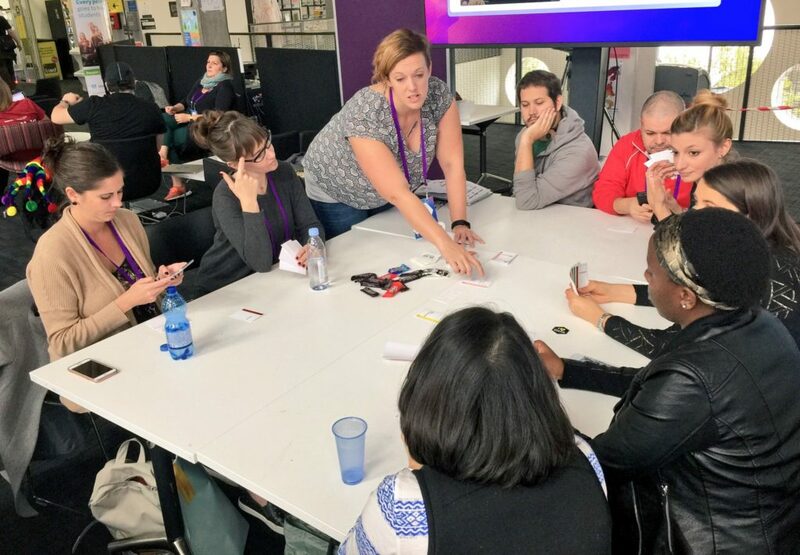 Innovation comes from a lack of, and its extremely easy to get blown away by everything that IS at Mozfest and easily lose sight of what actually needs to be present in the event. Because I participated in Mozfest, I was able to return to New York City with my mind aware of a tech world that I am going to inherit. I also saw more clearly the steps I need to take to include my project ComeFindHelp, and other projects that I endeavor, in the progressive side of technology. Avoiding a system that perpetuates exclusion on communal and educational spaces. 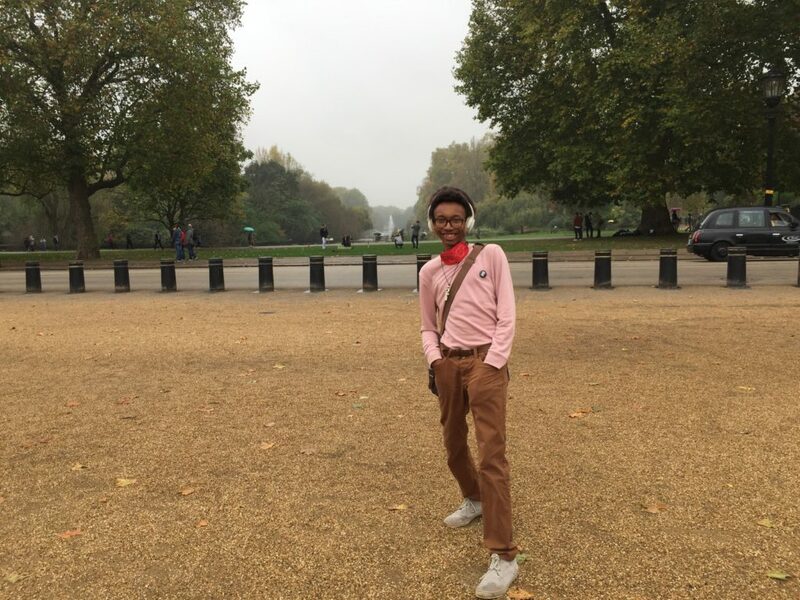 This was my first time in London. To be in a city with so many years of preserved history for a festival that dares you to look into the future of technology on the internet, and ultimately the world is an experience, that will no doubt affect my practice as a Community Organizer, Artist, and as a Programmer. During the evenings that I wasn’t at the festival, I travelled to Brixton to learn about how rapid gentrification is tripling the rent in some predominantly afro-caribbean areas of London. I walked around and compared how London treated its homeless compared to New York (there’s less homeless people in the city of London from what I could tell). Some nights I wandered the streets and just took in the nightlife, trying to grasp a city so different from my own. I look forward to returning to Mozfest next year and more determined to push the needle towards a safer and more accessible internet for all. Also British tea isn’t that great! I’ve bought better tea at Chelsea Market… there, I said it. Article written by Garai Caruth and edited by Communications Intern, Leandro Huerto. All photos courtesy of Lauren Gardner.